Online ordering menu for AMICI ITALIAN RESTAURANT. 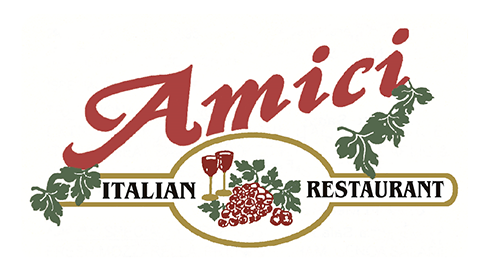 Amici Italian Restaurant, established 25 years ago has been part of St. Augustine's dining experience for the last 13 years. Serving authentic Italian cuisine that's both innovative and traditional; our menu includes delicious seafood, meat, homemade pastas, chicken, salads and homemade desserts and a carefully chosen wine list to complement your meal. Find us by Anastasia State Park and The St. Augustine Amphitheatre. Order online for carryout!